These creative takes on the classic grocery store staple give a whole new meaning to brown bagging it. The brown paper bag is a highly underrated household standby. While its everyday uses range from toting groceries to covering schoolbooks, its creative and decorative potential extends far beyond the bagged lunch. 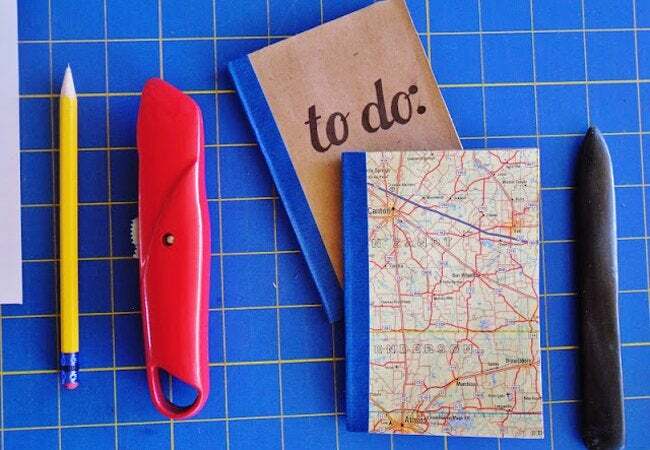 Put your extra stash to good use with these five amazingly easy DIYs that will have you repurposing your paper products into multifunctional masterpieces. Keep your imaginative doodles and last-minute lists stylishly safe with this mini notebook that boasts a brown bag exterior. Fashioned from little more than paper, an X-Acto knife, glue, and some colorful tape, this simple DIY from Sketchy Notions is the perfect size to slip into your back pocket. 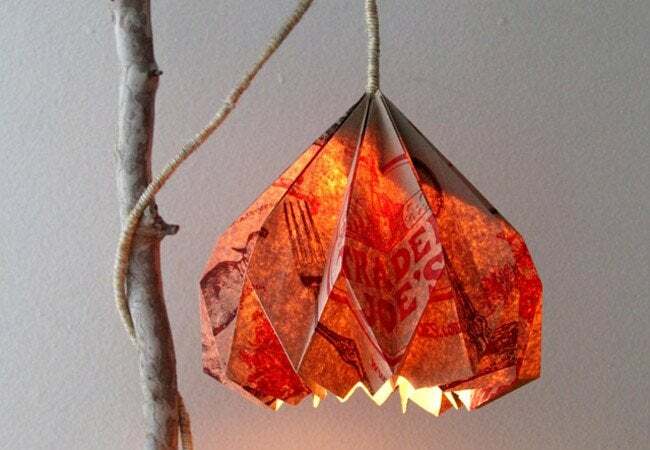 If you know how to fold paper (or don’t mind spending a little time practicing), then you can make this super-cheap, artsy pendant lampshade from an old brown bag. While the materials list is happily short, one detail to keep in mind is that you should be sure to use a low-heat LED bulb so you don’t run the risk of (potentially) igniting your lampshade—safety first! A Piece of Rainbow has the full how-to, plus a downloadable pattern and diagram to guide you through the project. 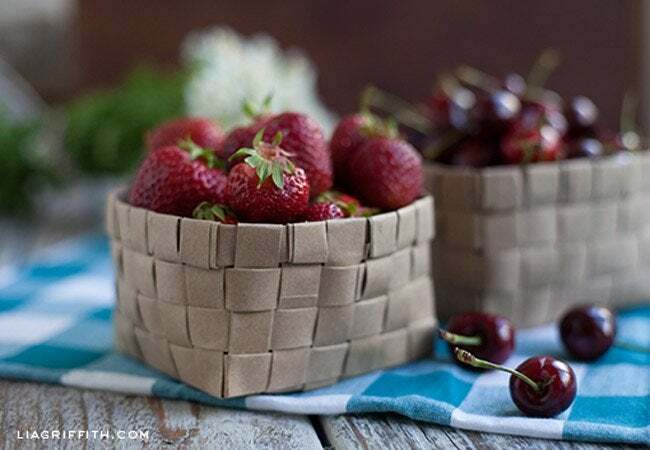 Put your basket-weaving skills to work converting paper grocery bags into quaint baskets for holding fruit, office supplies, or other sundries that need corralling. A hot-glue gun, a few basic household items, and this step-by-step from Lia Griffith are all it takes to quickly turn the leftover bags from your latest errand into a perfect little vessel. These little baskets are charmingly suited for serving picnic snacks or for stylishly presenting a hostess gift. Wrapping paper can get expensive, especially around the holidays. 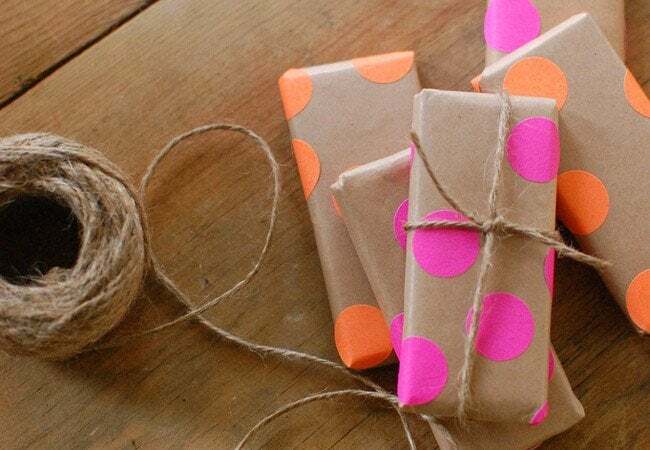 This crafty hack will save you money on pricey paper, yet your packages will look just as polished as ever. Simply cut brown paper bags to the size of the box or gift you’re covering, then add colorful stickers in any shape or size to suit your style. Get the kids involved in the decorating for an afternoon of budget-friendly fun. 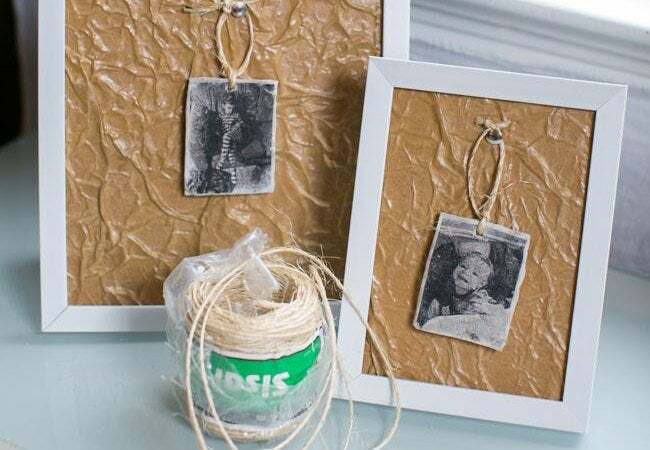 Transform a paper bag into a rustic-look matting that serves as a fashionable background for pictures and mementos. With the help of Mod Podge, this quick and inexpensive project instantly adds artistic and visual interest to any room. Hello Natural has the intel for how to crunch and wad up your paper for the best results—a process that even has the surprising benefit of stress relief!